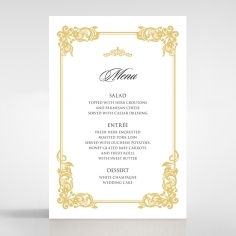 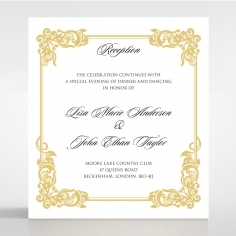 Be mesmerized by the stylishness and regal sophistication radiated by this laser cut gate fold invite. 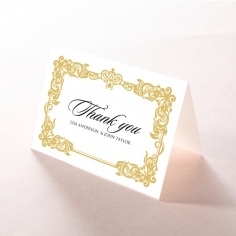 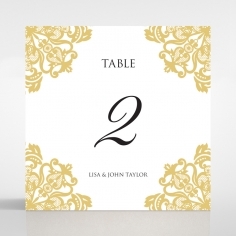 This design uses state of the art laser cutting techniques to create an intricate ornate gate fold patern that reveals breathtaking golden borders that embellish the edges of the square inner card. 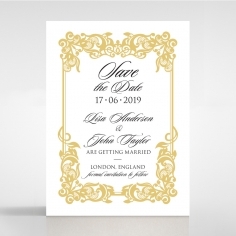 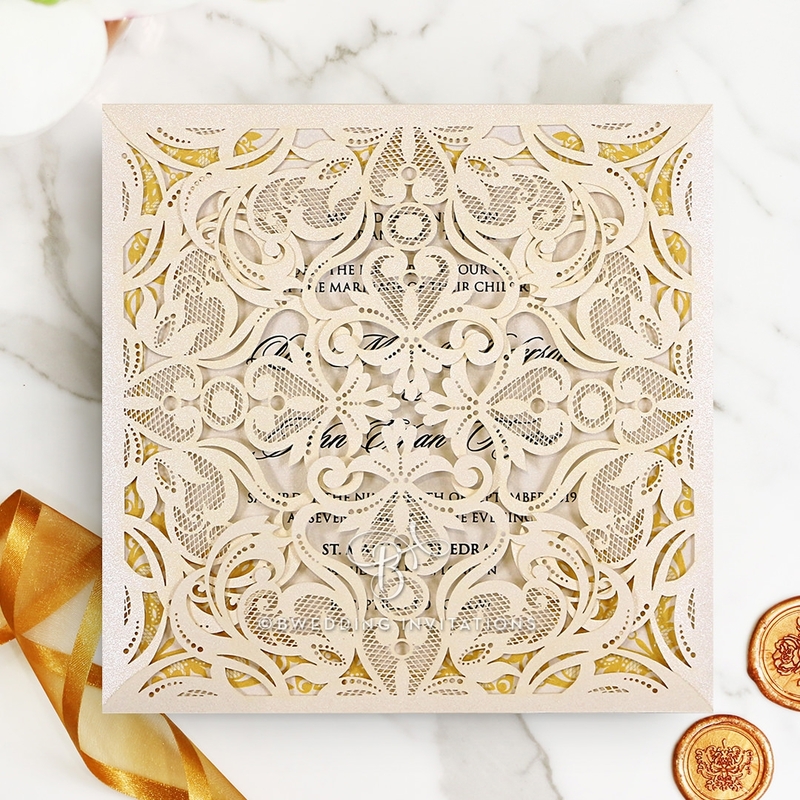 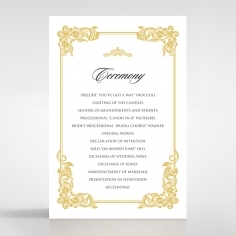 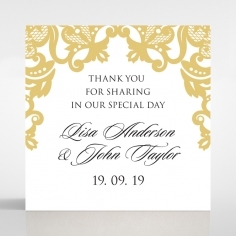 This stunning ivory royal themed lasercut invite is draped with front panels decorated in intricate mesh details in ornate vectors. 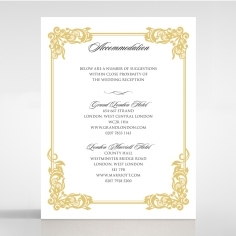 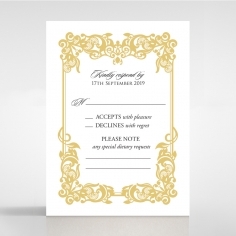 Your wedding details are clearly announced using stylish calligraphic writing. 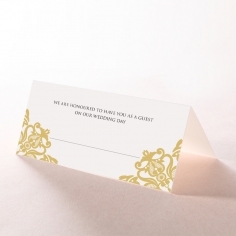 Perfectly packaged in a flawless crisp white envelope with impeccable silk lining on the inside. 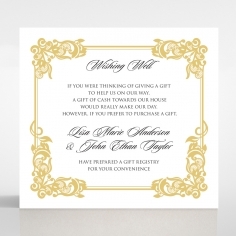 This card allows for font, wording and layout customization.